Another movie from GMA films is ready to conquer the silver screen. 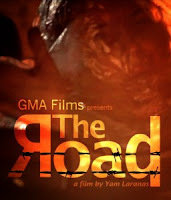 From the direction of Yam Laranas, the movie entitled “The Road” is set to premier on Nov 30, 2011. 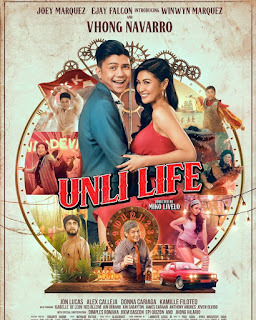 The movie features Rhean Ramos, TJ Trinidad, Wendell Ramos, Renz Valerio, Ynna Asistio, Carmina Villaroel, and popular teen stars, Barbie Forteza, Lexi Fernandez, Derrick Monasterio, Alden Richards, and Louise Delos Reyes. ditto na itinadhana na umimbistiga dun sa mga nawawalang tao. Ako yung magsosolve ng mystery.” TJ says. As investigators try to find leads of the whereabouts of the missing teens, they also found out The Road’s frightening past that revolves around for two decades- a history and series of crimes, abduction, and murders. Although the road is isolated, one thing is for sure, no one is alone passing through it. Lingering around in the dark is a vengeful ghost who makes sure no one leaves the road alive. Director Yam assures that the movie “The Road” will provide movie goers chilling moments as the characters try to figure out how to escape the haunted road. The shocking twists and turns will keep the viewers on their seats as the movie goes on to reveal the culprit of the horrifying mystery. Aside from the creativity of its award winning director and outstanding performances of the cast members. The Road also boasts of the hauntingly beautiful cinematography created by Swedish composer Johan Soderqvist who received international recognitions for scoring 2009 horror-thriller, Let the Right One In. On top of that, The Road is currently drawing rave reviews from venerable horror critics in the international arena. With the world-class production values and skillful editing , GMA Films’ upcoming suspense-thriller makes it a par with international standards of Hollywood films in the same genre.